Moving House can be an emotionally and logistically difficult time and there are lots of things which will require your attention when moving day finally comes around. Our Marylebone man and van company can completely take care of your house relocation in such a way that all you have to deal with is the administration which we are unable to handle. Our experience with domestic removals is such that we are more than capable of looking after ourselves and your house move. We have found that the best way to relieve the stresses of moving day is to just work around you with a calm efficiency which makes the day go very smoothly. When it comes to commercial removals in W1 area, we have the skill and experience to make yours easy, stress free and most importantly – your own. 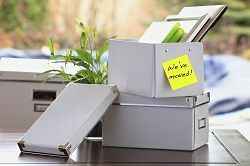 Each office is different, just as each house is, so we will make sure to approach each business relocation differently. We always keep an open dialogue with our clients so that they can tell us exactly what they want from their move and we can let you know how we’re going to make that happen. With each commercial relocation, for example, the important elements are always how we can make it happen quickly and safely without damaging any electrical equipment or important documents. If you are carrying out a smaller removals task, you should not have to be paying for the same service that we provide for clients carrying out larger removals tasks. We offer a van and man service for these clients and we work hard to ensure that it is as efficient as a full moving team and lorry without the inconvenience of extra space and additional costs. Our man and van in Marylebone, W1 is the safest and most efficient way to move on a budget. 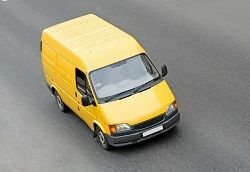 Your experienced mover can drive your route with due consideration for the extra weight your possessions add to the van. If you have any questions about our man with van service, please get in touch. If you are an individual mover then it would be ridiculous for you to have to pay for a full moving team and lorry. It would make much more sense for you to just hire our van and man service for your moving day. The same can be said for smaller scale commercial moves where our man and van in Marylebone will give you the necessary space for your office furniture, documents and electrical equipment and not cause havoc in the employee car park by blocking in all your fellow employees. If you think your move is small enough to make good use of our man with van hire service in W1 region then please contact us today. Our Marylebone removal van W1 is one way to make sure you move on the lowest possible budget. In fact, we make it our business to try and make sure you move on a budget that suits you and if we feel that the only thing missing from your move is adequate vehicle space we will recommend hiring a moving van from us. All of our removal vans are kept clean, well maintained and comfortable to drive so as to ensure that you and your possessions will get to your new property in the same state that they left your old one in. Our comprehensive range of removal services in W1 is designed to give you the perfect moving experience. Whether your move is large scale or small scale, domestic or commercial – we have perfected our range of services so that every different type of move is covered. Our skilled and experienced movers are more than capable of giving you the perfect moving experience, even if it means adapting one of our existing services to better suit your needs. Regardless of your removals task, we are sure that we can find the service for you amongst our extensive range of top quality services in Marylebone. There is very little that can’t be achieved by hard work and dedication. We firmly believe this. We are dedicated to being the best removal company in Marylebone, W1 and we work hard to achieve this. Other moving firms might shy away from such obvious competition but we use competition to our advantage. The only way we can be sure we are the best is to know what other removal firms are offering. We research our competitors to ensure that our range of services and our competitive prices are all still in line with our aim to be the best in the area. Whether you are a local moving out of the area or somebody new moving into the area, our friendly, skilled movers in Marylebone will take excellent care of you. Our aim is to make every move as easy and personal as possible so that you truly feel you are getting value for your money. Our removal services are all designed to best suit these aims and our customer feedback would indicate that we are fulfilling them. Though we are a removal company, we also work throughout the UK if we are required to, offering our top quality services to both domestic and commercial clients. Our secure storage facility is designed to keep your belongings safe and secure during a period of time when you cannot have them with you. We understand that the length of time for which you require storage space can sometimes be uncertain so we try to be as flexible as possible. Our self storage solutions offer you a variety of sizes meaning that you should never be paying for space you are not filling. It also means that we are always keen to be offering you a service which suits your budget – just as we are with all of our other services. One of the most stressful aspects of moving day is the packing. There may be other elements of the moving process which require your attention up until moving day, so packing is often a last minute panic and therefore far more likely to increase the overall stress levels of the day. Luckily for you, we offer packing services in W1 area designed to eliminate this stress completely. 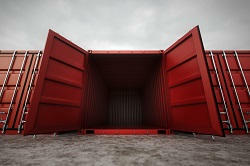 We can provide packing boxes to hold all of your possessions and some more advanced, or specialist, packing supplies for your larger items and for those awkwardly shaped or very fragile items which require special attention. We can provide you also with Marylebone man and van services. Save money with Marylebone man and van service without compromising on quality. Company name: Marylebone Man and Van Ltd. Description: As a leading removal firm that serves across Marylebone, W1 we offer only top-notch services at cost-effective prices. Call us at 020 3318 9262 now! © Copyright 2013 - 2015 Marylebone Man and Van. All Rights Reserved.